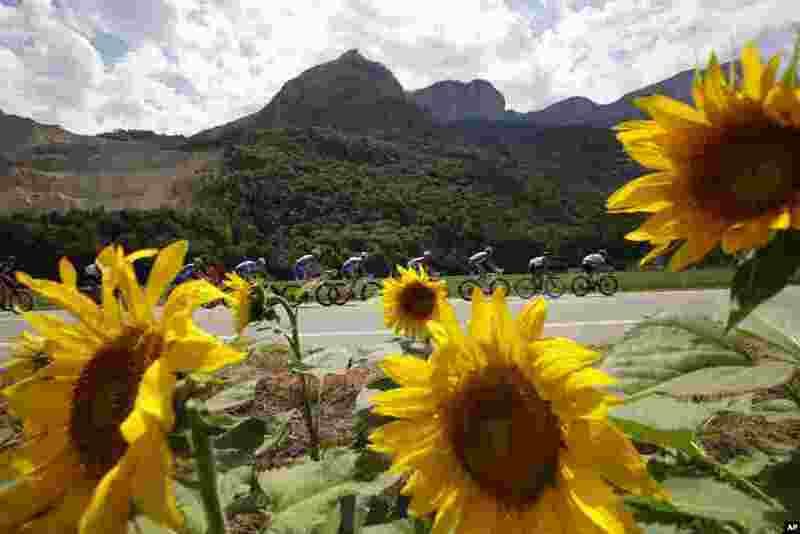 2 The pack passes a field with sunflowers during the thirteenth stage of the Tour de France cycling race over 169.5 kilometers (105.3 miles) with start in Bourg d'Oisans and finish in Valence, France. 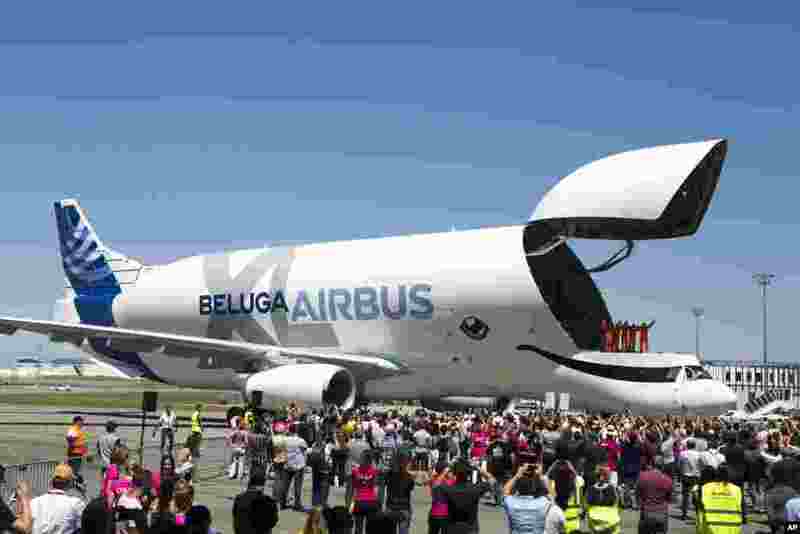 3 The engineers wave from the deck of the Airbus BelugaXL after successfully completing its first flight at Toulouse-Blagnac airport, in Toulouse, southern France, Thursday, July 19, 2018. The flight will kick off a 10-month flight test certification campaign leading to planned service entry in 2019. 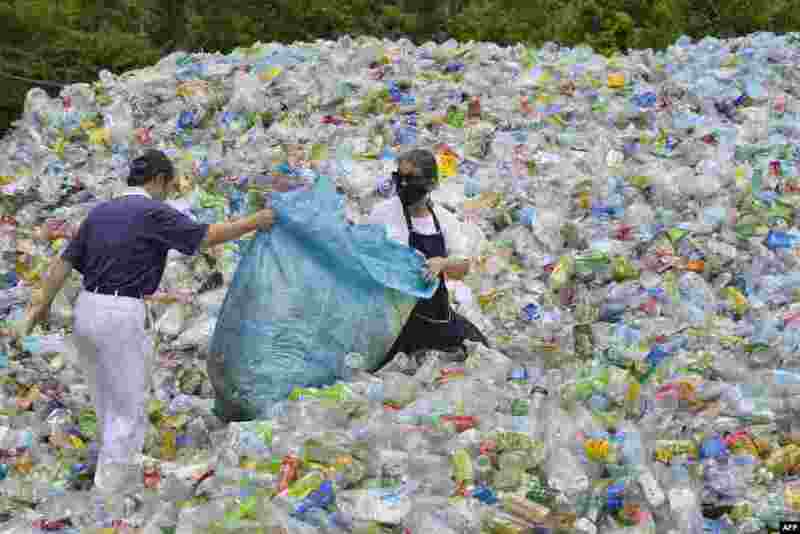 4 This photo taken on July 16, 2018 shows volunteers sorting out plastic bottles at a recycling centre run by a non-profit Buddhist organisation in Taipei. Taiwan started recycling plastic more than a decade ago and today it boasts more than 70 percent recycling rates, according to the Environmental Protection Administration.